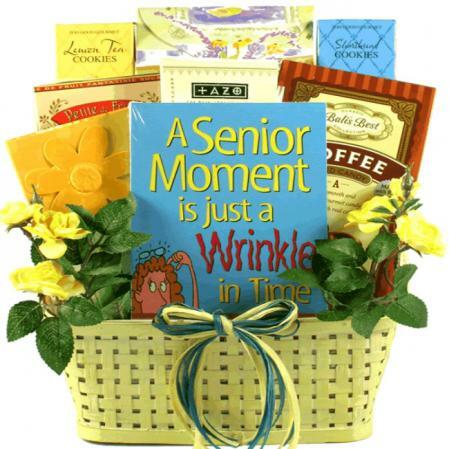 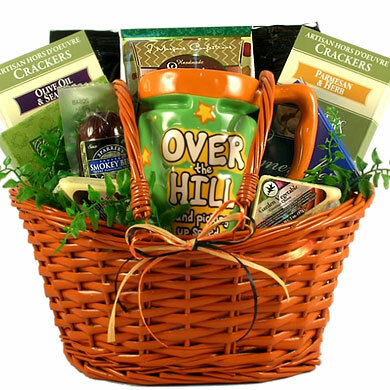 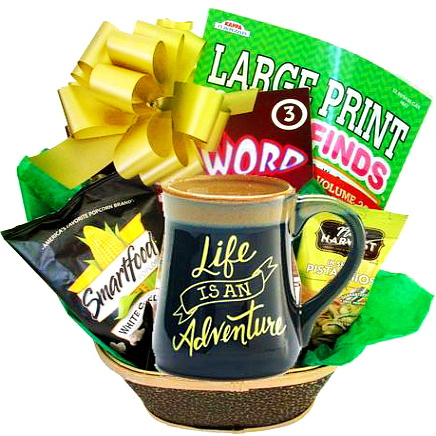 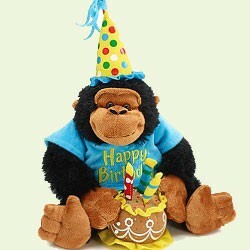 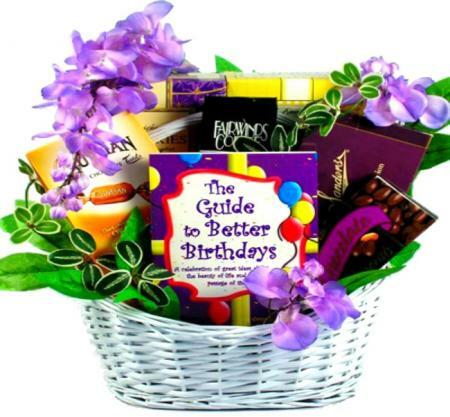 Help convey your best wishes and let them know that you wish you could be there to present this beautiful birthday gift in person. 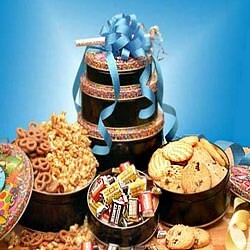 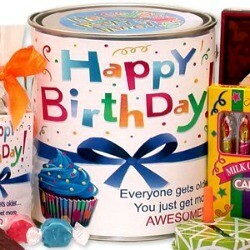 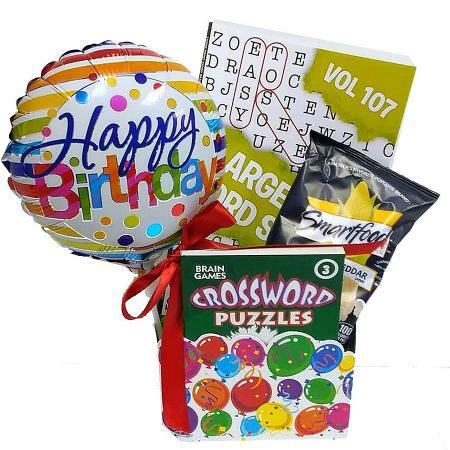 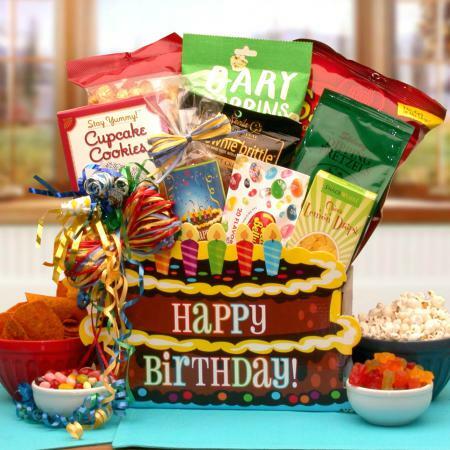 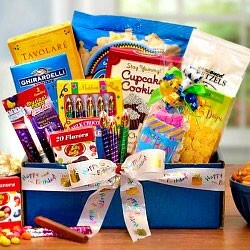 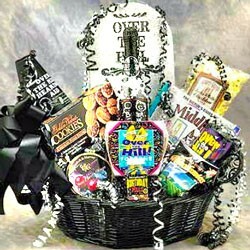 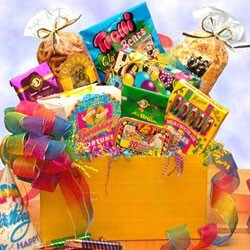 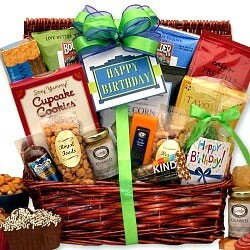 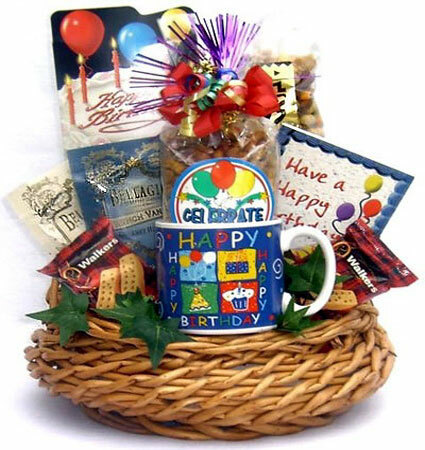 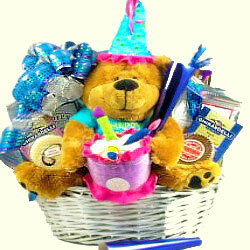 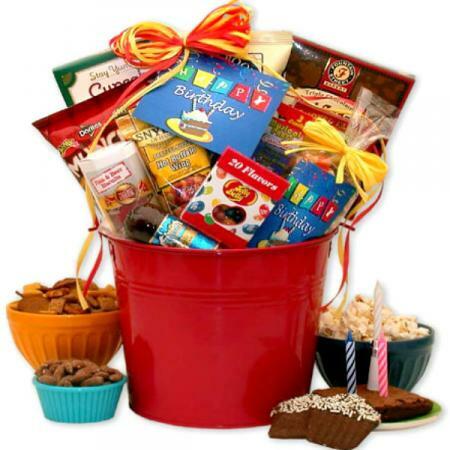 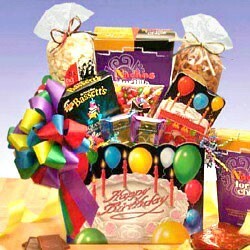 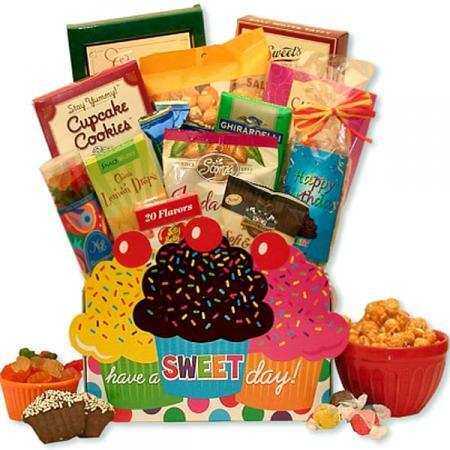 An assortment of sweet and savory birthday snacks arranged in a happy birthday box and includes 2 noisemakers. 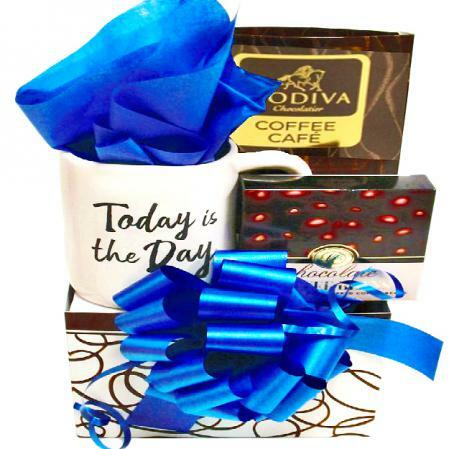 Your personal message gift card is enclosed. 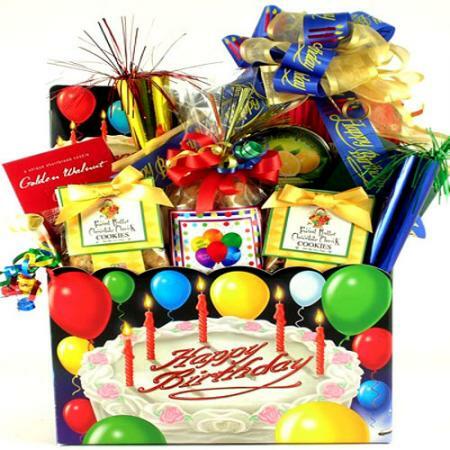 Make their birthday even more special by sending the Cake Birthday Gift Box. 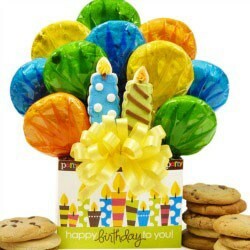 An assortment of sweet and savory treats are arranged into this colorful happy birthday cake-shaped box, which includes two horns and your personal message card. 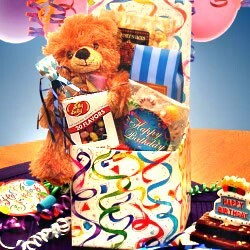 It's wrapped in cellophane and is topped by a handmade raffia bow.